Leaving Utah, we entered the state of Idaho. 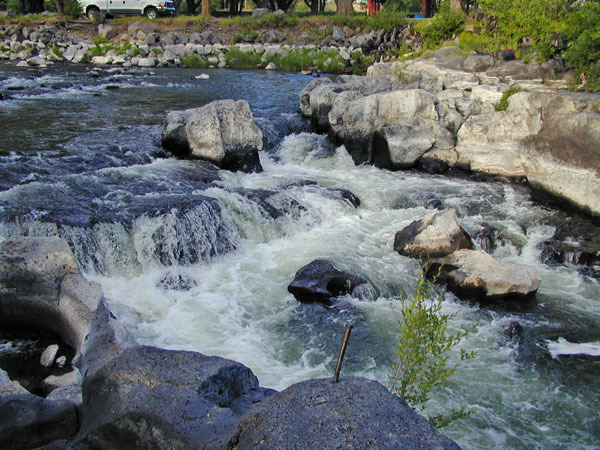 We drove to the town of St. Anthony and stayed at a hotel on the Henry's Fork of the Snake River. This picture was taken at a park across the street from the hotel. The accomodations were OK for a hotel, but one in our group didn't like the gravy served at breakfast by the local restaurant. We left St. Anthony for West Yellowstone. 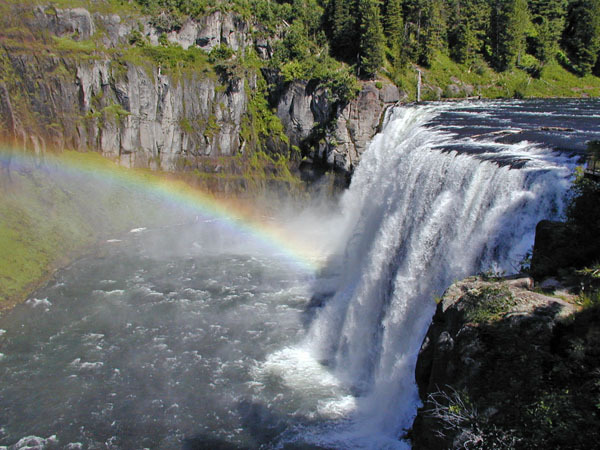 Along the way, though, I had heard of a place called "Mesa Falls." It was only on one map that we had and it wasn't easy to get there -- we had to travel on roads under construction; I wasn't sure we would make it in one piece. When we arrived, I think we all agreed the trip was worth it! 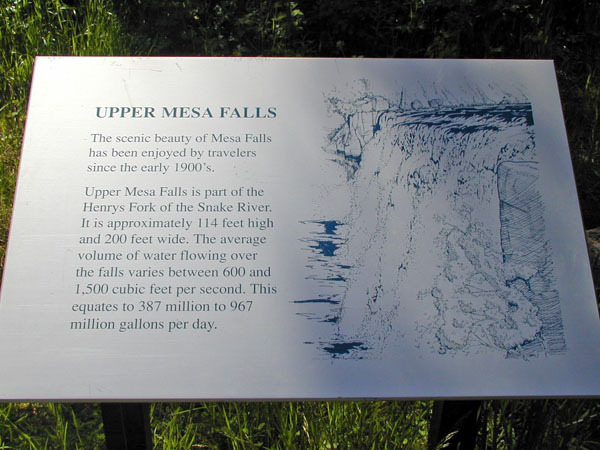 Below is some information on the falls. After we left Mesa Falls, we drove to West Yellowstone. To join up with us on our journey, go to the Montana page.